by Randy Clark Author · Bill Johnson Author of introduction, etc. Miracle testimonies are more than just accounts of past events; they are invitations to a fresh experience of God's supernatural power! 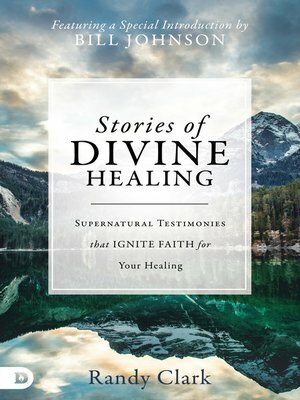 Every miracle account in Stories of Divine Healing offers a new gateway for your own healing. As you read, you will encounter Jesus' compassionate heart and matchless power over every sickness and disease. Receive supernatural encouragement by reading real-life testimonies of healing from blindness, deafness, diabetes, heart problems, chronic pain, Parkinson's disease, tumors, cancer,andmuch more!